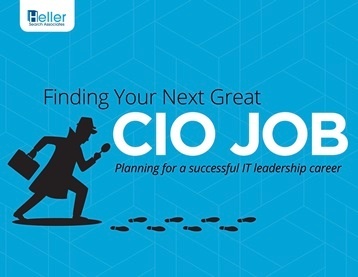 Heller Search recruits senior IT leaders for organizations nationwide, across all industries, including CIOs, CTOs and CISOs, as well as many VP and Director-level roles in technology. Our clients hire us to research the talent pool and uncover for them the most highly qualified individuals for their IT organizations. Send us your resume for our database so we can contact you when we're recruiting a role for which you may be a match. Season 1: Running an Effective IT Executive Job Search. Season 2: Top Competencies of the Modern IT Leader. Join the conversation with over 20,000 IT leaders, keep informed of our IT executive search projects. For all senior IT professionals, our e-book has proven tips for every stage of the job search process.